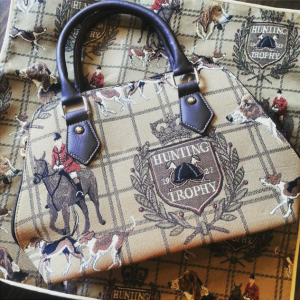 This entry was posted on Wednesday, December 30th, 2015 at 3:24 pm. How was your Christmas? Mine was wonderful – lots of time with family and friends! Unfortunately, the weather wasn’t so great; it rained almost all day on Christmas Eve and Day. But at least it was rather warm, which I’ve been really into! Who needs a White Christmas? 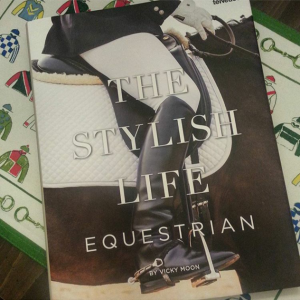 Not this Maryland Equestrian! 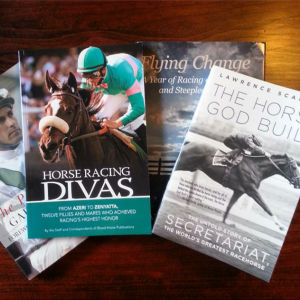 Below are a few of my most favorite gifts – as you can see, it was an Equestrian Christmas! 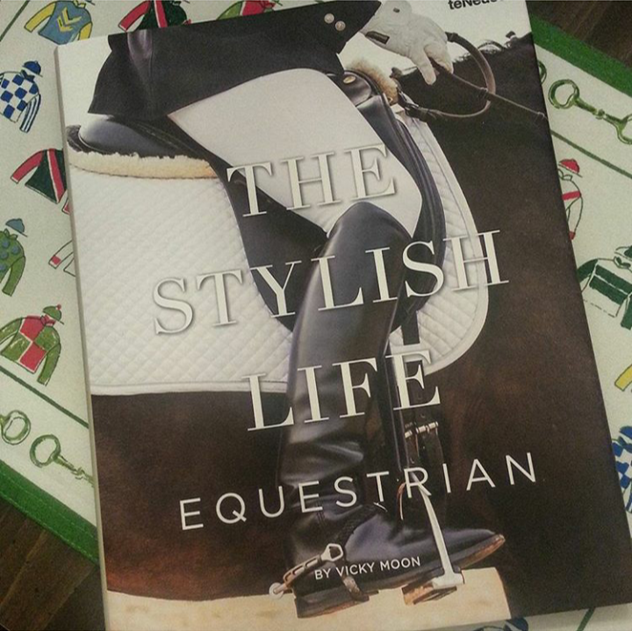 My sister-in-law gave me Vicky Moon’s new book, The Stylish Life: Equestrian, which is amazing. 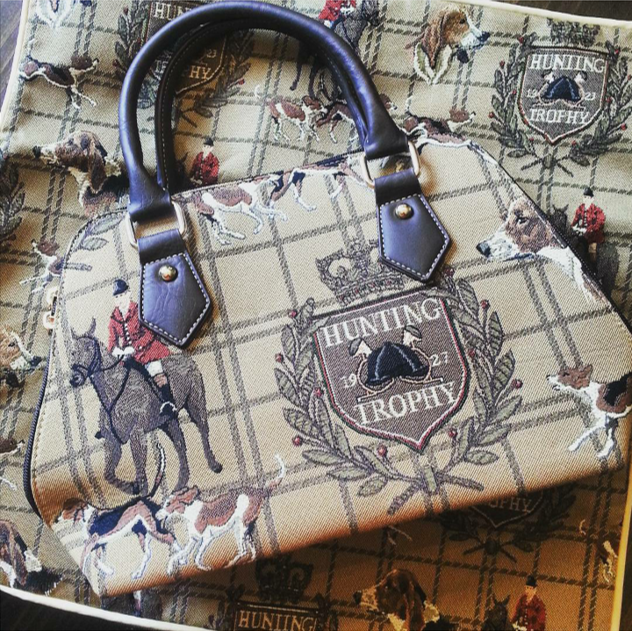 And my brother-in-law surprised me with a purse and pillow cover with a foxhunting motif; it will go perfectly in my house! 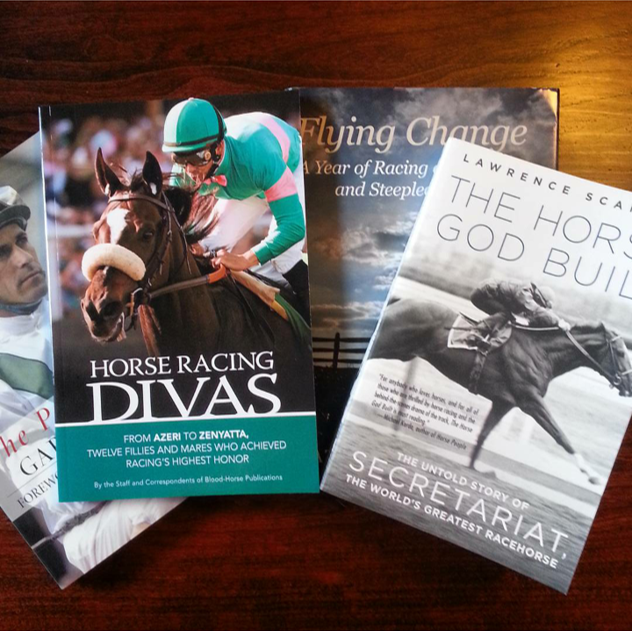 Also, you know it was a good Christmas when I came home with numerous horseracing books – can’t wait to dive into these! All ready for New Year’s? Any fun plans?